Oatmeal is a great food – it’s nutritious and a great source of fiber. However, it doesn’t taste that good and can get boring on its own so people often use add-ins such as fruits to make it more palatable. You don’t have to use unhealthy ingredients such as table sugar to make oatmeal taste good. 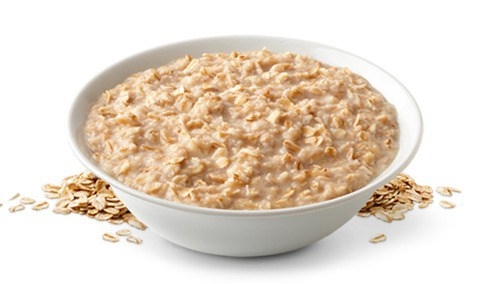 Usually, most of the ingredients added to oatmeal are the same ones added to cold cereal. Here are some tips on what to put in oatmeal. This should be the go to cooking liquid if you’re keen on keeping the calories down. It adds zero calories to oatmeal and doesn’t affect the taste in any way. If you want to go with a flavored option that’s also low on calories, go with flavored almond milk. Pick a flavor of your choice to spice up your meal. If you’re going to cook oatmeal in milk, you should use 1% milk instead of skim milk. This is because it is low fat and produces a creamier result. If you want to add some sweetness to your oatmeal without adding sugar, then you should go with juices. Use your favorite fruit juice e.g. mango, passion fruit, orange or whatever else you’re into. If you go with pineapple juice, you might need to add some water since it's usually too concentrated. Yummy! You can go for pecans, hazelnuts, peanuts, pistachios or even sliced almonds. This will definitely spice up your oatmeal. Chopped up graham crackers are great when added to a bowl of oatmeal. They tend to soften and give a honey-like flavor. You should throw them in before the oatmeal is fully cooked. Add these little nutty and crunchy nibs to oatmeal for a tasty and nutritious breakfast. This is what to put in oatmeal for better taste. These are a great source of omega-3 fatty acids and protein. If you go with flax seeds, you’ll have to grind them to obtain maximum nutritional benefits. To add a creamy feel to oatmeal, mix it with a spoonful of yoghurt or some cottage cheese. Throw in some honey for an amazing taste. These are a great staple to add to a bowl of oatmeal. You can go with dried cranberries, mangoes, blueberries, cherries or apricots. Not only are they healthier than sugar, they add fiber to your bowl of oatmeal and tons of minerals and vitamins. It’s almost like sugar without all the calories. Too much carbs, but it’s a choice you won’t regret. Mixing carbs with carbs isn’t a good idea by a long shot, but this might just change your mind. Throw the bread in just when the oatmeal starts to bubble to make it soften into the oatmeal. You can add some peanut butter, or better yet some Nutella. Throw in some nutmeg, cinnamon and other spices that tickle your fancy. They’ll give the oatmeal a much better flavor. Blackberries, blueberries, bananas, raspberries, mangoes, apples, melons, pears, peaches and any other tasty fruits you can think of can add a splash of flavor to your bowl of oatmeal. Not only that, it also comes with the added benefit of vitamin C and other nutrients. You can always substitute fresh fruit with frozen fruit. Chocolate goes with anything. Get some high quality cocoa and add a teaspoon to a bowl of oatmeal. Love bananas? Then you’ll definitely love the taste of lightly torched bananas in your oatmeal. That’s what to put in oatmeal. This might not sound that great, but it tastes fantastic. Shred some cheddar and throw them into a bowl of oatmeal along with slices of bacon. Server responsed at: 04/23/2019 8:17 p.m.